Harvey V. Fineberg is president of the Gordon and Betty Moore Foundation. He previously held the Presidential Chair for 2014-2015 as Visiting Professor at the University of California, San Francisco. 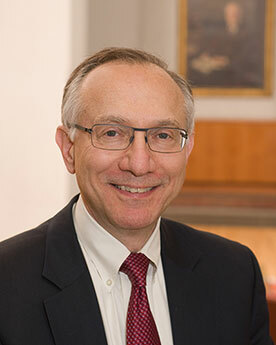 He served as president of the Institute of Medicine from 2002 to 2014 and as provost of Harvard University from 1997 to 2001, following thirteen years as dean of the Harvard School of Public Health. He has devoted most of his academic career to the fields of health policy and medical decision-making. His past research has focused on the process of policy development and implementation, assessment of medical technology, evaluation and use of vaccines, and dissemination of medical innovations. Fineberg chairs the boards of the Carnegie Endowment for International Peace and of the William and Flora Hewlett Foundation, is chair-elect of the China Medical Board, and serves on the boards of the Macy Foundation and the François-Xavier Bagnoud Association. He helped found and served as president of the Society for Medical Decision Making and also served as consultant to the World Health Organization.